The best and healthiest milk comes from traditionally farmed cows that live in fields, eating grass. Watch this clip of cows being turned out onto the pasture after spending winter indoors. It says it all. Sadly not all cows enjoy the sun on their backs or lush grass under their hooves. US style mega ‘zero grazing’ dairies have been introduced into the UK. Behind the innocent looking white stuff that ends up on the supermarket shelves, there is a mega industry under huge pressure to produce more for less. Zero grazing dairies means that cows are kept indoor for the whole of their adult lives in concrete and steel pens. It is all about production, 24/7. In the UK approximately 20% of milk production is now from mega dairies and that is on the increase. Cows are ruminants, they are designed to graze pasture, kept as part of a rotational, traditional farming system, dairy is healthier, sustainable and has low environmental impact. A diet based on grass results in cow’s milk that’s higher in an essential fatty acid called alpha-linolenic acid (ALA), an omega-3 fat that reduces inflammation in the body and has been tied to a lower risk of heart disease, stroke and type 2 diabetes. Grass-fed milk has double the omega-3 fat content as conventional milk. Changing that to keep cows indoors creates huge welfare and environmental issues. All for the sake of making more profit and saving you a few pence. Milk is cheap, even the highest quality milk is affordable, it is not a luxury item or an item we should be undermining to save pennies. It is estimated that moving to organic milk would cost the average family of four just £1 per week. It is clear that we should buy milk with caution but it is wise to know the facts. It is very easy to a condemn a whole industry whenever there is bad press and the dairy industry has had it’s fair share. 66% of dairy farmers have gone out of business over the last 20 years and we are loosing around 1 traditional farm per week. Dairy farmers are under huge pressures and we need to support those that are fighting to maintain high standards at affordable prices. Not all milk and dairy is the same, there are vast differences in production yet small difference is price for the superior version so it is well worth investing in quality dairy. Buying organic milk and dairy is the easiest way to ensure grass fed, free range milk. There are various organic standards in the UK but all of them include grazing access. e.g. Duchy, supermarket own brands, Yeo Valley, Moo and smaller independent organic farmers, sold directly or via retailers. Free range milk is also now widely available, looks out for this Free range dairy logo at Asda, Morrisons, Booths and some Co-op stores. As consumer awareness increases, the industry responds with labelling to help you differentiate between products. The concept of labelling ‘free range’ milk has now been introduced. Free range dairy used to be normal, so it is not a new product, but the need to label it as such is. See http://www.freerangedairy.org for more information. Waitrose has a ‘grass promise’ on their own brand essential milk but it is the same price per litre as Tesco and Sainsbury own brand, so a great choice if you are budget conscious. We are lucky in the UK compared with other EU nations and countries worldwide that we still have a large amount of traditional dairies, where cows get access to grazing, but this is rapidly declining. Unless the label states organic, free range, grass promise or you can trace the milk to a specific dairy or corporative that has a policy to give cows access to pasture there is a real possibility your milk or diary has come from an intensive dairy system. Labelling on dairy other than milk has not caught up in terms of free range or grass promise. The industry focus in on milk. For example I contacted Waitrose to ask if they grass promise extended to cheese and butter and their response was no. They did not have a direct relationship with the farmers so where unable to guarantee it was produced from pasture feed dairy cows. Buying organic cheese, yogurt and butter is a guaranteed way to ensure the diary is free range. Some producers will label the product as such but you’ll need to read the label carefully. Imported cheese from outside the UK is likely to come from zero grazing dairies. Italy, Spain, France, Germany etc. all have a very high ratio of non grazing dairies. Even high end, luxury cheeses such as Parmigiano Reggiano = no grass. So read the labels and ask questions. Parting thoughts, dairy and specifically milk is considered an essential item, but it is not a necessary part of our diet for calcium, that is a myth, see https://wp.me/p7RDjy-77. Consume dairy because you really enjoy it, look for organic, free range, traditional, high quality milk, ice cream, cheese, butter and yogurt and thus enjoy it even more! Moo to you too, the Ethical omnivore. Hard to spell or pronounce (Keen-wa not Kin-oo-ah, as Mr Ethivore keeps telling me), It is all the rage so I decided to investigate. What I found out is fascinating. It was one of those things I had in the back of the cupboard; another grain to eat instead of rice, but now I know more, it will be moved to the front. Quinoa might be new to us but it a staple food in many areas of South American and especially the Andes where it has been grown and eaten to thousands of years. We tend to think of it as a grain, but it’s not it’s a seed. It is in the same family as spinach, beets and chard. The leaves are edible too but the bit we eat is the seed. The United Nations, FAO made 2013 ‘International year of Quinoa’ to promote it’s importance as a food crop. It is celebrated for being of the most nutritionally rich food on the planet, compared with both plant and animal sources. Quinoa is a complete protein food, meaning it contains all nine of the essential amino acids, which cannot be made by the body and therefore must come from food. This is also true of the soya bean (edamame). Making them a perfect source of plant based protein. In the debate around the best source of protein, quinoa and soya win over meat with their added benefit of also reducing cholesterol whilst meat proteins can increase it. It is also rich in omega 3, 6 and 9 fatty acids. It is easy to digest and good source of calcium, phosphorus, copper, folate, zinc and iron, rich in vitamin B1, vitamin B2, vitamin C and vitamin E. Quinoa is also a good source of magnesium which relaxes blood vessels so provide cardio vascular health. Protects against breast cancer and acts as anti oxidant. There are reported to be around 120 varieties of the quinoa plant. We typically eat three types, white, red and black. White being the most common. Red quinoa is more often used in meals like salads since it tends to hold its shape better after cooking. Black quinoa has an “earthier and sweeter” taste. You can also find quinoa flakes and flour which are great for baking. Quinoa is also gluten free so a great alternative to wheat flours. You can buy dried, raw or pre cooked quinoa. Before cooking the dried version give it a good rinse in cold water, the seeds are coated in a compound that is quite bitter. Follow the instructions on the packet. Typically, add it to the pan with 2-3 times the volume of water, bring to the boil and simmer for 10-15 mins, the water should absorb, the quinoa turns translucent and the little ‘tails’ uncurl when it is ready. Because quinoa has a fairly neutral taste it is good to use in both sweet or savoury. It makes a nice porridge cooked in 50/50 apple juice and water or milk. You can also cook in stock to give it more flavour if you are eating it as a savoury side dish. Once cooked it can be cooled and stored in the fridge for several days. The pre cooked version is usually open and serve. They often add oil so it is slightly higher in fat, but handy to have in store and good to check in a salad or when making a quick lunch. 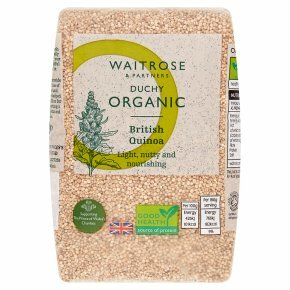 I wouldn’t bother with quinoa mixed with other grains as a source of quinoa, it is a bit of a sales gimmick really, they are often very high in the other product e.g. rice 90%, quinoa 10%. Is all quinoa the same? No. The main exporters of the quinoa in the word are Bolivia, Peru and Chile. It is also now being grown in UAE, EU, Canada, basically anywhere it will grow, now over 50 countries! The champagne equivalent of quinoa is grown in Bolivia; Quinua Real or Royal Quinoa it is grown in the same way the Incas have for thousands of years. 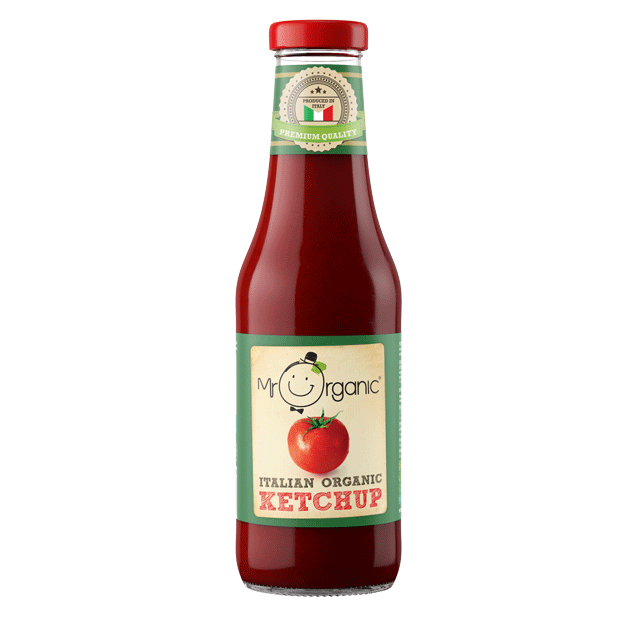 It is organic and traditionally grown, harvested and prepared. Soil preparation is fully manual, it’s fertilized with llama dung and pests are controlled using extracts of indigenous plants. Sounds good to me! Quinoa is big business and where there is big business there are ethical challenges. Reports that the Western demand of quinoa caused a sharp price increase and meant local people could no longer afford it, have been balanced in recent years with reports of improved economic conditions for farmers and communities. Buying Fairtrade or organic approved products is a way to ensure you are supporting an ethical choice. Parting thoughts, as quinoa is grown in the UK and the prices even for the organic version are similar, it seems like a good choice, considering Airmiles, ethical issues and supporting UK farmers. Long and short is we should add quinoa in our diet because it is easy to grow, highly nutritive, medicinally important, economical and versatile food.